7 Ways To Keep Learning Incredible Things Every Day! I am fresh back from a conference- Mind Body Green’s Revitalize 2015- where the call of the day, every day, was to keep learning. I learned from just about everyone I spoke to there in some way, not to mention the lectures and life experences. Suffice it to say, in an encapsulated experience of learning its easier to keep learning… but in everyday life, you have to tune in, hunt, stretch and even dig sometimes to find the wonder in the day. 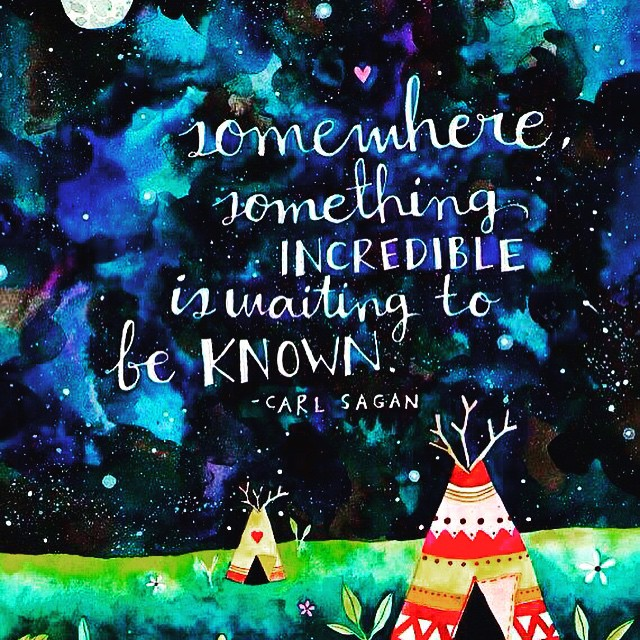 If you aren’t growing and feeling wonder in your life… or if you are sort of cycling through the same information and want to reach farther… these ideas may inspire you to dive into your own exploration! 1. Coursera offers free online classes from some of the top schools all over the world. If you didn’t go to college or missed indulging in an interest in your university years, you can grab a class at Princeton like Imagining Other Earths (All about life on other planets! I’m enrolling today.) You can also take science and economics courses from Princeton, Duke classes, art classes… you name it… just type it in the search bar and enroll for free today! 2. Listen. One of my top 10 favorite classes at Stanford was a graduate journalism class taught by Anna Deavere Smith. Basically, we were taught to ask better questions and listen more to people’s answers. Exploring isn’t about talking, it’s about listening. And not “listening to talk next” but literally just listening and feeling and connecting to life. 3. Go local. When I am eager to expand my own mind I go and see live talks, live bands, live events of all kinds. Art galleries, museums, gardens, parties… The more you explore what’s really pulling your attention. 4. Online/ In-Person Immersions. There’s a reason I am setting up online, 8-week immersions. First to tackle clutter (The Catalyst Camp) and next to boost up finances (The Money Camp) and then to expand it all from the heart (The Love Camp)… Immersion is how we best learn but its incredibly difficult to do unless you can take yourself out of life for a few weeks and go away somewhere to learn. I’ve found my own ways of simulating immersion online, and its thrilling to watch people grow in this setting!!! You can sign up HERE to start my Life Detox Jump Start & get on the weekly letter list and you’ll know when the next Camp series is starting! I’ve done other types of immersion courses online to learn about holistic healing, web design and even facets of love I’ve never explored before…! 5. Books!!! Amazon is my weakness. I order 10-12 books at a time, every few months. You can hit up your library, the local bookstores… your own book shelves… and actually get lost in reading! 6. Travel. Even a big hike in the Los Angeles hills is am adventure for me. Exploration expands your life. 7. Netflix/ TED Talks/ You Tube. You Tube is full of amazing tutorials. Netflix is a treasure trove of cinema and documentaries. TED is… TED. All will expand your horizons. I believe the artist is Ana Victoria Calderon. If not, very similar to her style of painting. It’s beautiful! Previous post: Using Color To Make A Big & Beautiful Life Change!